Size 24" 26" 28" 30" 32" 34"
Earn 29 loyalty points, worth £1.45, with this purchase. Look smart, feel comfortable and stay safe with the HyVIZ Reflector Ladies Jodhpurs. 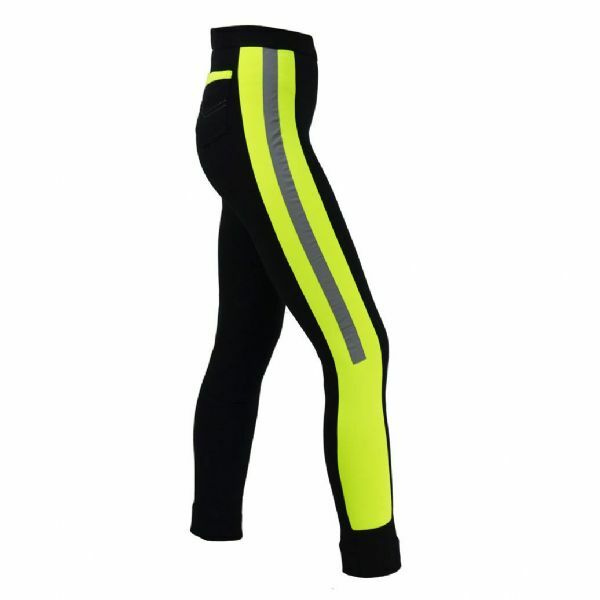 These flattering jodhpurs have been designed with a fluorescent panel and reflective silver strip down the leg to optimise visibility in low-light conditions. Made with 95% cotton and 5% Spandex, these pull-on style jodhpurs are both stretchy and comfortable and come with an elasticated waistband. They are finished with two useful back pockets topstitched in silver, a fluorescent strip trim and a Hy logo embroidered in silver on the waistband. Size : 24" - 34"